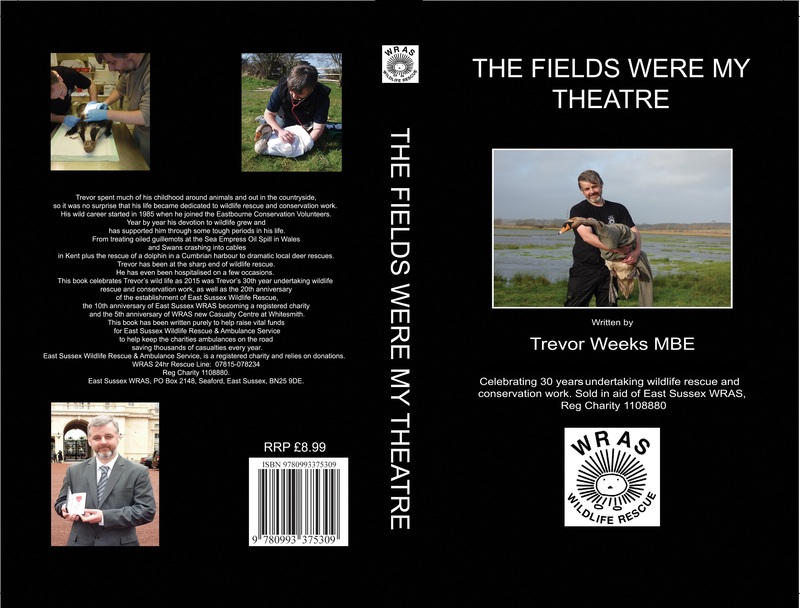 A book about the wild life of Trevor Weeks founder of East Sussex Wildlife Rescue & Ambulance Service has been published in aid of the charity. 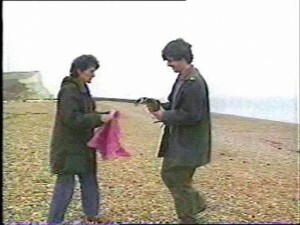 Meta Mann recieves another oiled Guillemot from a young Trevor Weeks on Seaford Beach in the late 1980s. His wild career started in 1985 when he joined the Eastbourne Conservation Volunteers spending most of his weekend helping improve the countryside for wildlife. Year by year his devotion to wildlife grew and has supported him through some tough periods in his life like the loss of his mother to cancer when he was 21. Although Trevor’s rescue work has mainly been local to East Sussex his work with British Divers Marine Life Rescue and WRAS has seen him travelling to Cumbria to rescue a trapped dolphin, a seal in Dungeness Nuclear Power Station, living in a field near Ramsgate Kent to help injured swans flying into overhead power cables, rescuing a deer trapped in the grounds of Haslar Naval Hospital in Hampshire and attending the Sea Empress Oil Spill in Wales in 1996. Trevor has been at the sharp end of wildlife rescue. He has even been hospitalised on a few occasions! This book celebrates Trevor’s wild life as September 2015 sees Trevor complete his 30th year undertaking wildlife rescue and conservation work, as well as the 20th anniversary of the establishment of East Sussex Wildlife Rescue, the 10th anniversary of East Sussex WRAS becoming a registered charity. The book is 240 pages and includes 32 colour pages of photos. The book will be available to order via Waterstones online store, to buy via Paws n Claws Pet Care Store, Olives Yard, High Street, Uckfield, TN22 1QP or from WRAS’s Casualty Care Centre, Unit 8 The Shaw Barn, A22, Uckfield, BN8 6JD or online by clicking here , or by phone on 01825-873003. Trevor will be signing book at WRAS’s Indoor Nature Trail event at East Dean Village Hall on Saturday 19th September (this weekend) too. The book can also be ordered via Waterstones online and Amazon by searching for the ISBN: 978-0-9933753-0-9. Posted in Press releases on September 15, 2015 by East Sussex WRAS.